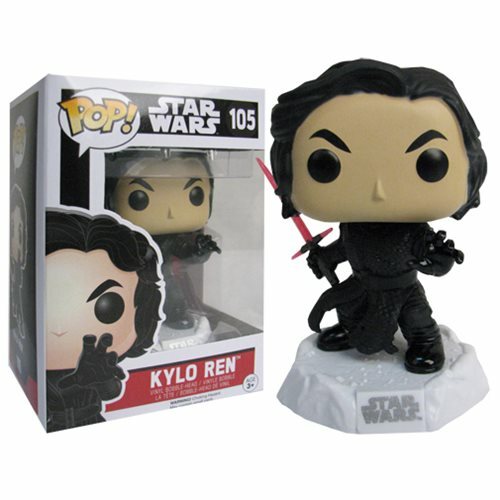 FromStar Wars: The Force Awakens, Kylo Ren gets the Pop! Vinyl treatment! A leader of the First Order, Kylo Ren is determined to extinguish the Resistance's last hope. The Star Wars: The Force Awakens Unmasked Kylo Ren Pop! Vinyl Figure features the armed dark side warrior unmasked and battle damaged. This figure measures about 5-inch tall and comes in a window display box. Ages 3 and up.